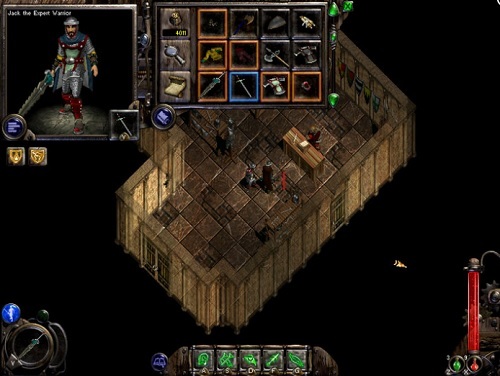 Nox released six months before Diablo II and while Diablo ended up overshadowing it the game is definitely one of the great action RPGs around. In Nox players take on the role of Jack who gets sent into a parallel universe. The only way to return home to the life he knows is to find the evil sorceress Hecubah and defeat him. In the game Jack can take on one of three roles (conjurer, wizard and warrior). Not only does each of these classes have their own skills and playstyle they also have their own unique storyline and ending. Which means players can easily play through Nox three times for a different experience. The conjurer is the master of support and ranged weapons relying on bows, crossbows, healing and the summoning of monsters. The warrior is focused on melee weapons and can equip every armour in the game although this comes at the price of spells and is instead restricted to five abilities. 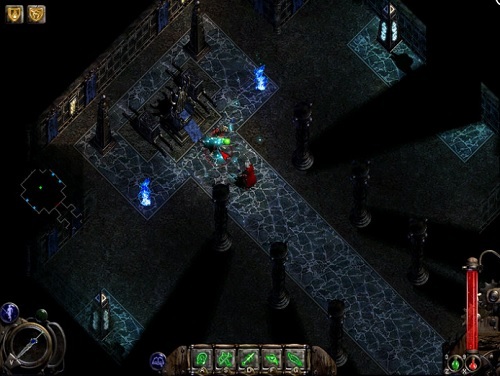 While the wizard is the master of spells but unable to equip many of the items within the game. From a gameplay perspective Nox plays out like most other role playing games with players exploring a variety of locations while killing enemies for experience and loot to boost their power. One interesting feature that players will run into is a line of sight system that blocks areas of the map that Jack wouldn’t be able to see, the most obvious example being not able to see around corners. If you originally overlooked Nox then now is the time to grab the game (purchase through Good Old Games to avoid compatibility issues), you’ll be getting an impressive RPG that is really 3 games in one. A very impressive action RPG. 3 different characters with distinct playstyles and opportunities. Each class features a different story. Unique True Sight system blocks your vision around corners. Recommended must play for every Diablo fan.